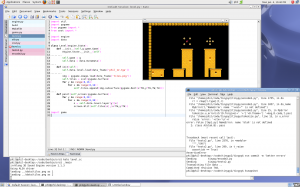 I’ve been spending some time checking out lua, because I’m thinking about using it for scripting in games. I’m looking at it instead of tinypy because tinypy is slow and really needs some more TLC to be totally useful to me. However, after looking at lua for a while, I’m finding the things that make it feel awkward to me. List indexes starting at 1. Coroutines <- these are neat! The first 4 awkward things are superficial, I could probably hack those into shape in a day or two. The 5th item (List + Dict) as one item is probably not something I can fix, but I could probably live with it. If I changed the language like that, and provided it for users to create mods for my games I would not be able to give them a link to the lua documentation, since it would not be accurate anymore. Not quite sure what to do here. Lua seems great, though a few language design decisions seem awkward to me. I could change the language easily enough, but then I would be breaking all the lua documentation for my users. Anyone got some language-design thoughts on this one? 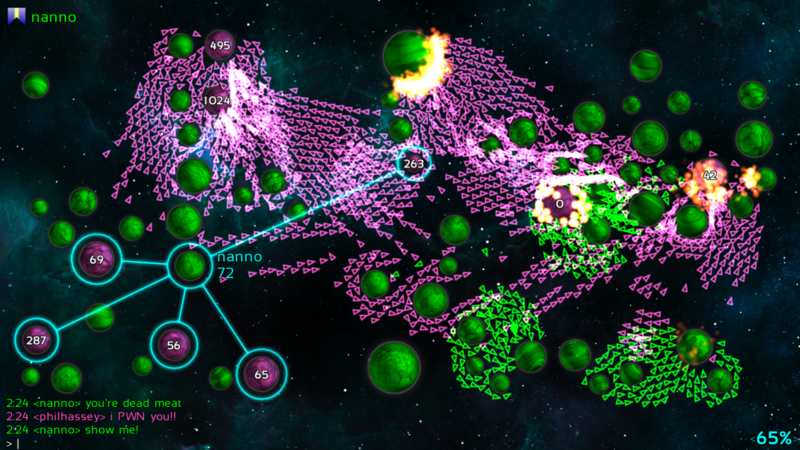 Get Ready for Galcon Fusion – for PC / Mac / Linux! Introducing Galcon Fusion, the long-awaited update to desktop Galcon! Now with improved HD graphics, a full soundtrack, and a variety of exciting new multi-player modes! 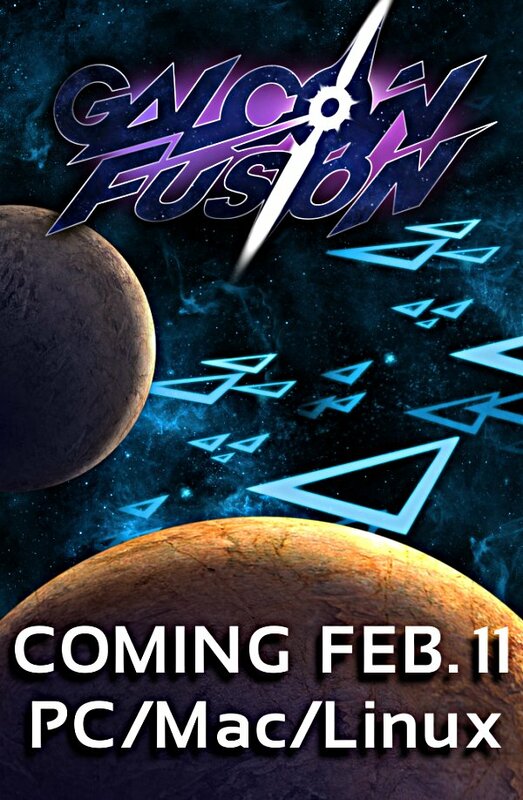 Galcon Fusion is set to launch February 11 on Steam and on our website for PC / Mac / Linux. Posted in Uncategorized | Comments Off on Get Ready for Galcon Fusion – for PC / Mac / Linux! Galcon Fusion announced – Finally! So, I’m finally announcing Galcon Fusion to the world. Fusion is a port of iPhone Galcon + Galcon Labs to the desktop. This time with hi-def graphics and a full interactive soundtrack. It’s going to be coming to Steam and direct on my website on Feb. 11. Users who supported me when I was first starting (as in, you bought desktop Galcon), your license is compatible with Galcon Fusion. Thanks! There are a few technical things that were challenging, dealing with endiannes for my network code, supporting fullscreen vs widescreen resolutions, and supporting a wide range of resolutions (from 800×600 all the way up to 1920×1080.) To make it short, here are a few conclusions: best to support endiannes from the start, fullscreen vs widescreen is a pain, and baking lots of image data into your binary is a pain because it requires a ton of recompilation. Oh, and installing VC++2008 is waaaay easier than installing mingw32, but keeping code working on both takes more effort. I think my biggest conclusion comes along with this announcement, is that doing “secret dev” work isn’t really that sensible. If you look at that last paragraph, there are a ton of issues I could have documented in my blog that I didn’t because I was all being secretive. And hey, since I was so mum on this, nobody has heard about it until today. I guess there might be some benefits to this (??) but I can’t think of what they are. I think blogging about my progress is a good way for me to be able to see what I’m doing and not get lost in the haze myself. My recent article on VC++2008 is a great example of something I’m going to get quite a bit of value out of just for my own reference. One big different thing I’m doing with this project is my wife Nan is doing the PR for it. She’s contacting all the reviewers, the general press, the newsletters, the announcement blog, twitter, and everything. I’m trying to take a more dev-only role in the announcement. This is nice, because I’m not very good on PR. I try .. but I really don’t do it as well as I want to, largely because on a launch of a product I’ve always got about 50 technical things I’m trying to do along with the PR! I’ve had to port a project to VC 2008 from my usual mingw setup. Here’s what I did. This covers quite a few things, in particular where to find common GCC settings in VC land. Template: Win32 console if you want a console. Or just Win32 Project if you don’t want the console to pop up. The solution name is the folder everything gets put in. In VC, you can have several projects within a single solution. This is done so that VC will compile the files, but keep in mind that the separations don’t seem to mean anything to VC. It’s just for your visual convenience. Note that if there are two files with the same base name “dostuff.c” and “dostuff.cc” this will cause VC to choke during compilation as it will create two .obj files with the same name and fail during linking. Adding some project compile time options (mainly -D and -I equivalents for specific defines and include folders.) Keep in mind which Configuration you are modifying at all times. You can also switch to “All Configurations” for global changes. .. an alternate way is to add #pragma comment(lib,”MyLib.lib”) into your main.cpp. By doing this you can refer to a lib right within your source if you prefer. For my project I needed to expand the size of my stack, due to having excessive amounts of static data compiled into the project. You can do this via Project > Config Properties > Linker > System > Stack (Reserve&Commit) Size > .. I changed them both to 4000000 and things worked. For a release build I’m sure to build against SDLmain_nostdio.lib so that the game won’t crash Vista/Win7 where writing out stdout.txt and stderr.txt may result in some kind of fail. You may leave out all your ‘Debug’ folders or other Configuration folders, those seem to only contain generated files. You may leave out the .ncb and the .COMPUTER.username.blah file, they seem to be used by VC for stuff that can be regenerated, etc. You can create an Icon with IconFX . I’ve used Innosetup in the past. It seems to work. Alternately, you can just rename some of your source files so there are no name conflicts by default. So .. there ya go! Enjoy! Is None more like 0 or -1 ? In tinypyC++ every variable is a certain type. In some cases I may have an int x = None; But I’m not sure what that should mean? Anyone care to tilt the scales to -1 or 0? So after some discussion yesterday with a few folks about Exceptions in C++, I decided to add a compilation flag to disable the use of exceptions in tinypyC++. The claim given to me was around these few items: 1. Exceptions slow your code down. 2. Exceptions aren’t cross-platform (in some cases). 3. Exceptions can easily add in memory-leaks. In the first test I’m rendering a Julia fractal for 20 frames and averaging the time it takes to render. In the second test (below) I’m doing the same test, but I did one code optimization to remove a new/delete that was happening for each pixel – by reusing the coordinates object. What is clear in the second test is that the compiler is able to optimize the code much more aggressively. I guess Exceptions choke up the optimizer. In all cases it seems that adding on the -g flag seems to make the code run slightly faster, surprisingly enough! 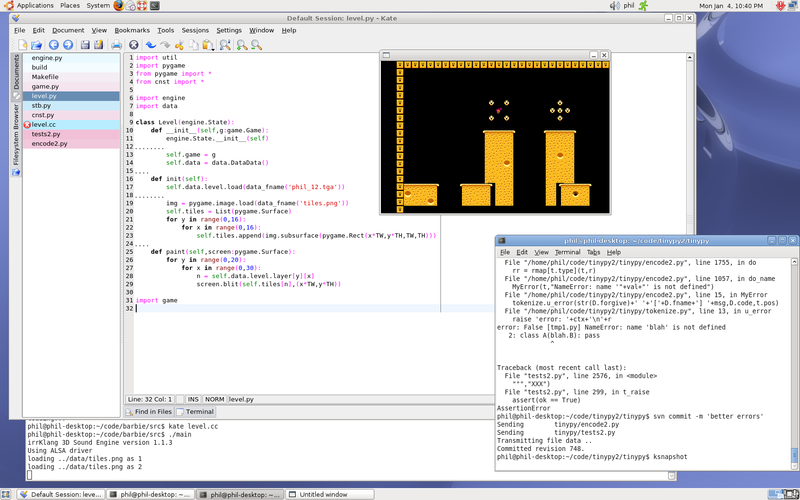 (-g adds in debugger info.) In all cases, the optimizer was able to roughly double the speed of the program, and when I disable exceptions it is able to throw in even more speed. Hmmn, better late than never, ‘eh? What’s the coolest Python application, framework or library you have discovered in 2009 ? What new programming technique did you learn in 2009? What’s the name of the open source project you contributed the most in 2009? What did you do? I was a bit of an open-source waste-of-space this year. But in the last two weeks of the year I began doing work on my tinypyC++ converter. So far I’ve used it to put one game on the App Store. What was the Python blog or website you read the most in 2009? What are the three top things you want to learn in 2010 ? How to do game PR. How to present at conferences. How to not go crazy. Over the course of 2009 I used python much less than in 2005-2008. This year (with the help of tinypyC++) I hope to be using (something like) python again. C++ just isn’t nearly as fun! I don’t plan on attending PyCon this year, though I wish I could. There’s just a limit to how many conferences I can attend. If anyone is at GDC, catch up with me! I’ll be speaking at the iPhone Summit about multi-player network testing. I always gotta thank the python community for introducing me to the magic of testing. It’s what makes network code and mad projects like tinypy possible. 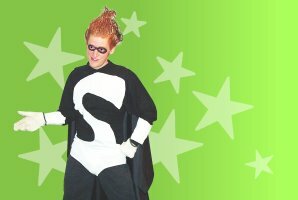 You are currently browsing the Phil Hassey weblog archives for January, 2010.